Cod Liver Oil - 1000mg is a high quality source of Omega 3 which is rich in EPA (eicosapentaenoic acid) and DHA (docosahexaenoic acid). 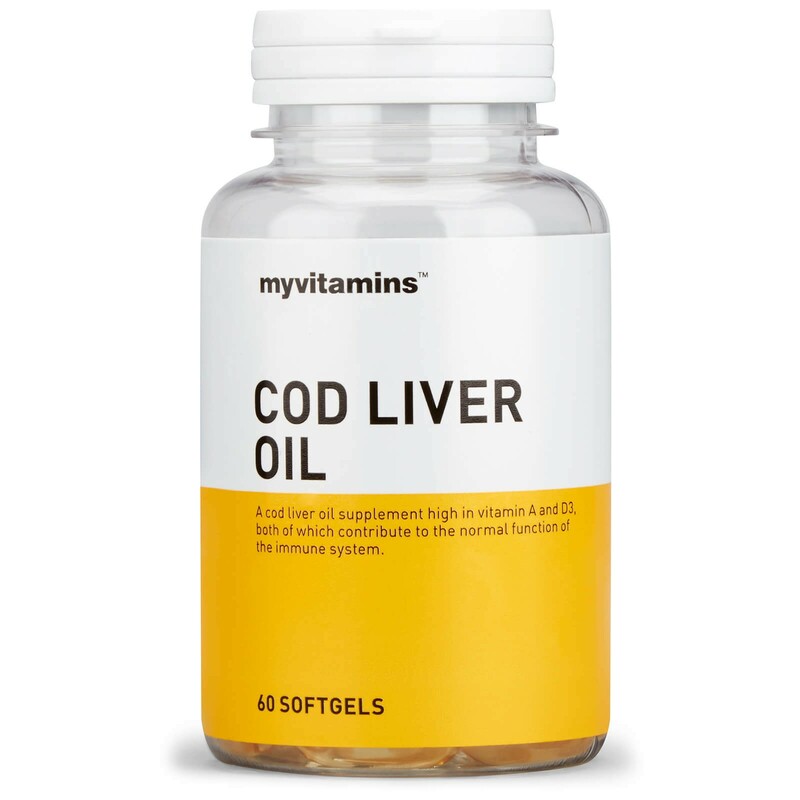 Why use Cod Liver Oil? Cod Liver oil contains 237mg of omega 3 per soft gel and has many beneficial properties within the body due to the action of EPA and DHA. These two long chain fatty acids help contribute to normal blood cholesterol levels and healthy cardiac function. Cod liver oil is high in vitamin A which contributes to normal vision along with the maintenance of normal skin and iron metabolism. 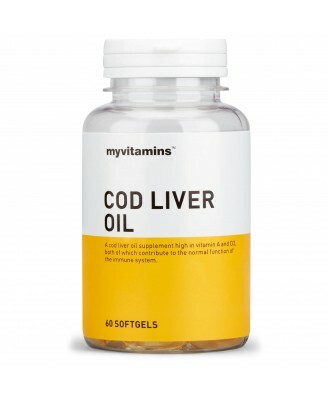 Providing 1000% daily RI for vitamin D, myvitamins cod liver oil also contributes to the normal function and health of muscles and bones while both vitamin A and D supports the normal function fo the immune system. Our high quality soft gel is a great way to get all the health benefits of Omega 3 fatty acids for those to lack fish in their diet. Cod Liver Oil also contains healthy levels of Vitamins A and D3, perfect for supporting normal function of the immune system. To be taken as part of a varied and balanced diet and a healthy lifestyle.